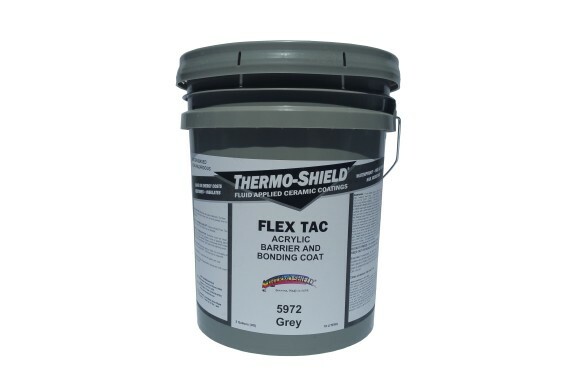 Thermoshield Acrylic Flex Tac is specifically designed to be used as a primer on bitumen surfaces. It acts as a bonding agent between the surface and other Thermoshield products such as Roof Coat or Wall Coat. Application: Apply Acrylic Flex Tac by roller or airless spray on a clean surface at approximately 6.2 square meters per gallon (67 sq ft) in a one coat application. Do not apply in freezing weather, or when precipitation is imminent. Use soap and warm water to clean tools and equipment. Store the 5 gallon pails at temperatures between 5 and 30 Deg C (41and 86 Deg F). Thermoshield Wood & Deck Coat is a water-based sealant that provides both water resistance and protection from UV rays. Thermoshield Roof Coat is made from a proprietary formula that can increase a structure’s efficiency and lead to significant energy savings. Thermoshield Stucco Shield can be applied in place of paint or as an alternative to multiple-layer stucco systems. Thermoshield Canada offers a full line of premium quality "GREEN" non-hazardous, water based, energy saving, protective paint & coatings designed for a wide range of Architectural, Industrial, Roofing, and Do-It-Yourself applications. Thermoshield Canada serves the provinces of Quebec and Ontario.